Natural Earth Data: Worldwide GIS Maps | Jill Saligoe-Simmel, Ph.D.
September 15, 2012 /in Cartography, Open Data, Portfolio /by Jill Saligoe-Simmel, Ph.D. 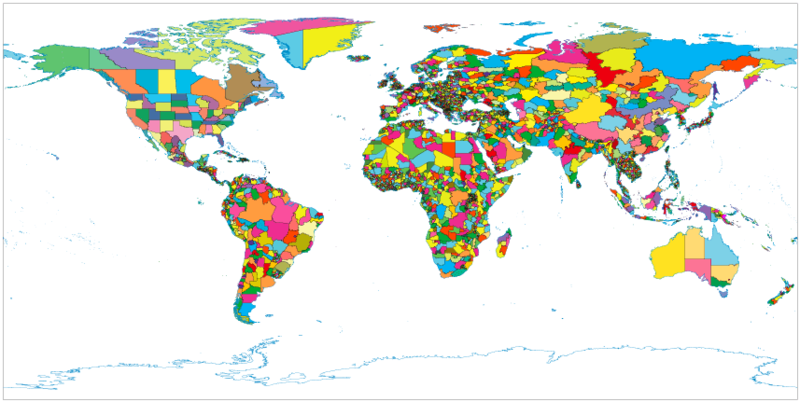 If you’ve ever tried to find good, authoritative sources of free, public domain small-scale world map data you know it can be a daunting task. But not for long. Natural Earth is a public domain map dataset available at 1:10m, 1:50m, and 1:110 million scales. Featuring tightly integrated vector and raster data, with Natural Earth you can make a variety of visually pleasing, well-crafted maps with cartography or GIS software. It is a boon for geographers, cartographers, and GIS folks working from regional to world scales (small scale). I’ll predict it will also have tremendous impact in the geography education arena, where it is much needed. This dataset allows you to make beautiful and authoritative political and physical world maps quickly – from the large wall map variety down to postcard size. Instead of spending time looking for data, you will be able to focus on using the map to tell your geographic story. 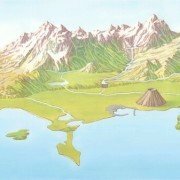 You are able to map at the continent and country levels (including showing provinces and some local cities, regional, and “world” cities). Tom Patterson and Nathaniel Kelso collaborated on the precursor to his first Natural Earth Raster project several years ago and they now preview Natural Earth Raster + Vector, a new free product that complements and expands on the previous work by providing detailed GIS linework at the 1:15,000,000 (1:15 million) scale and new versions of the raster product (including cross-blended hyspometric tints). The project was unveiled at the 2009 North American Cartographic Information Society (NACIS) annual meeting on October 7th. From “First Look at Natural Earth Vector.” This is a NACIS and mapgiving co-branded product with assistance from the University of Wisconsin-Madison cartography lab, Florida State University, and others. You can read more updates on the project at Kelso’s Corner. 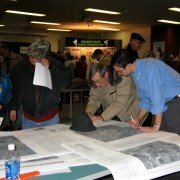 Making Natural Earth is a collaboration involving many volunteer NACIS members and cartographers around the globe. Jill Saligoe-Simmel, Mapdiva LLC, volunteered her time as a Research + Production Cartographer collaborating with the team managing the first release of worldwide country administrative units.